Last year we were introduced to Joan Pressley's hat shop when middleteenageson went to help out his girlfriend, who is Joan's grand daughter, during Ascot week. He entertained us with stories of an incredibly busy days spent packing up hats to send out, unpacking returns and lots of well dressed women in a state of controlled panic. He was very impressed with how pretty the shop was and just how many hats were involved. Joan has had the business for 22 years and now runs it with her daughter Kathryn. 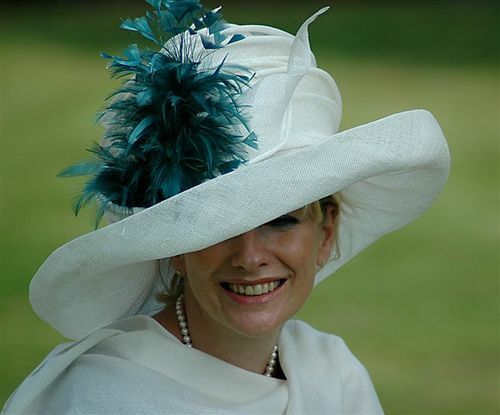 Their hats have featured in films (over 100 were featured in Made of Honour with Patrick Dempsey) and they have an international reputation, often sending hats abroad and have judged hat events at the Arlington Races in Chicago, the US equivalent of Ascot. We caught up with Kathryn this week, just as she and Joan finished putting in their orders for this season. Since we hardly ever wear 'proper' special occasion hats, we asked for a few tips on what to look for when selecting a really great one. "We always ask the customer bring in her outfit -we have changing rooms – then we can make sure that the hat totally compliments what she is wearing and can have a trim added to match" Kathryn told us. "Its important to consider the style of hat with the outfit, it probably wouldn't be quite right to wear for example a Boy George style trilby with a soft flowy summer dress….I don't think there are many place that provide this sort of service. We suggest that a mother of the bride wear something like a side sweep hat. We don't actually tell them …we just try on loads of hats and then they can see for themselves. One where the brim goes up at the side or front. It's best not to have a down brim, then she can be kissed without the hat being knocked off and also she isn't shadowed by the brim for the photos. One of our favourite designers is Siggi who is just fab, Joan and I remember seeing him at a trade show in London over 20 years ago. I think we bought a couple of hats from him then. Now he provides most of our Ascot specials and will make up hats to specifically match a customer's outfit. 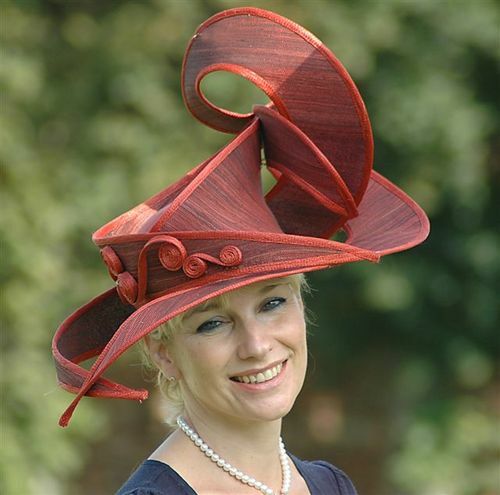 We also love Bridget Bailey, her hats are just exquisite We have the tulip hair band and a gorgeous strawberry tart. We are busiest in the summer months…for weddings, garden parties, investitures, Henley and of course the race meetings. Ascot being the biggest event. 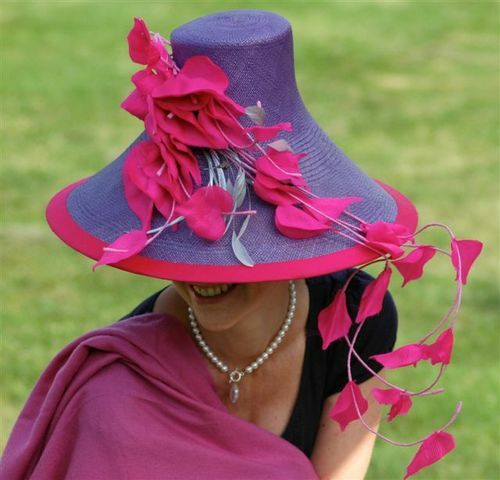 We are just beginning to book hats for Ascot now. Some ladies have a hat for every day of the meeting. They arrive with four or five outfits for us to match the hats to. Last year we had a shop full on the Wednesday evening, with several people looking for a hat to wear the following day – Ladies day – quite confident we'd be able to 'sort them out'! Obviously we do prefer to have a little more time as we can have up to 100 hats out every day of a busy race week, many of which need to be trimmed individually to match customers outfits. We also advice people never to wear your hat in the rain and to always carry an umbrella. Hat fabrics are very precious and easily damaged. Your hat will need adjusting on your head to make it look absolutely fabulous but try to adjust it by the crown rather than the brim. 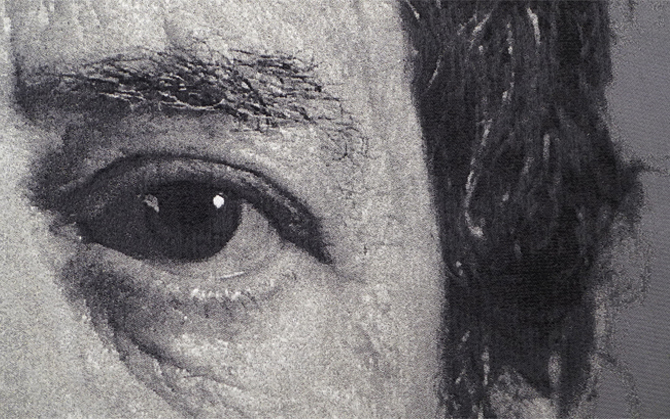 It is easy to pull the brim out of shape." Joan's shop is a treasure box of gorgeous designs, if you're needing a hat for a special occasion then this is the place, with a multitude of shapes and styles. We're trying hard to think of something exciting to go to this summer so we have an excuse to spend the whole day trying on hats…anyone fancy getting married?. Joan Pressley Hats, 2/3 St Johns Alley, Devizes, Wiltshire,SN10 1BG. Previous articleMiddleagemum.com: what, this old thing?